Certain paradigms in the world of electronic music cannot be entirely replicated, and the body of work by Ryan Farish deserves such an accolade. The decorated DJ, producer, composer and multi-instrumentalist has touched innumerable hearts over the course of his career. Although best described as downtempo or chillout, Farish’s music exists in a category all its own. By pairing rich instrumentals with elements of ambient and uplifting trance, he’s yielded a polished and unmistakable sound that resonates with a wide international audience. He’s garnered over 330 million streams across the major digital platforms. Born in Norfolk, Virginia, and currently shifting from his home in Williamsburg, VA, to Los Angeles, CA, Farish owes his early following to MP3, a website through which his music was downloaded approximately 1.8 million times. After putting out studio albums at an almost annual rate, Farish became a co-writer and co-publisher of a GRAMMY®-nominated recording at the 50th GRAMMY Awards presented in 2008. That same year, he won a Dove Award at the 39th annual GMAs. The following year, he launched his own record label, RYTONE Entertainment. Farish reached another milestone in 2009 by landing his first high-profile endorsement deal with Yamaha Corporation of America. In 2011, he appeared in a series of Audi USA commercials called “Remarkable Audi,” discussing how the luxury vehicle’s soundsystem played a unique role in his creative process. In 2012, Bang & Olufsen tapped Farish for their advertising campaign in cooperation with Audi before Google Play showcased his album, Life In Stereo, by awarding him their “Best Unsigned Artist of 2012” distinction. In 2014, Farish debuted on Black Hole Recordings with the release of “Distance” featuring Coury Palermo, the first of several singles Farish would put out through the world-renowned trance label. In the years since, he’s won over countless fans in the contemporary electronic dance music (EDM) arena; his songs have received support on such radio shows as Above & Beyond’s Group Therapy, Lange’s Create and Kyau & Albert’s Euphonic Sessions. His late 2017 album ‘Primary Colors’ soared to the top of iTunes electronic charts, debuting at the number three position. The 15-track composition was released on trance legend Tiësto & industry trailblazer Arny Bink’s famed Black Hole Recordings. The same year saw Farish enlisted to remix collaboration between two respected figures in trance music. The Ryan Farish Remix of “Amnesia” by Paul Oakenfold and Jordan Suckley appeared on Dreamstate Volume One, a compilation put together by the former artist in participation with has become Insomniac Events’ internationally successful Dreamstate event brand. While Farish had met undeniable success in previous years, 2019 is promising to be one of his most impressive runs to this point in his career. After the announcement of back-to-back studio albums to close out of 2018, the critically acclaimed storyteller unveiled his impressive 16th studio album entitled ‘Wilderness’ at the top of August 2018. The 11-track album proves to contain of Farish’s most unparalleled efforts at his unique ambient electronic flavor. 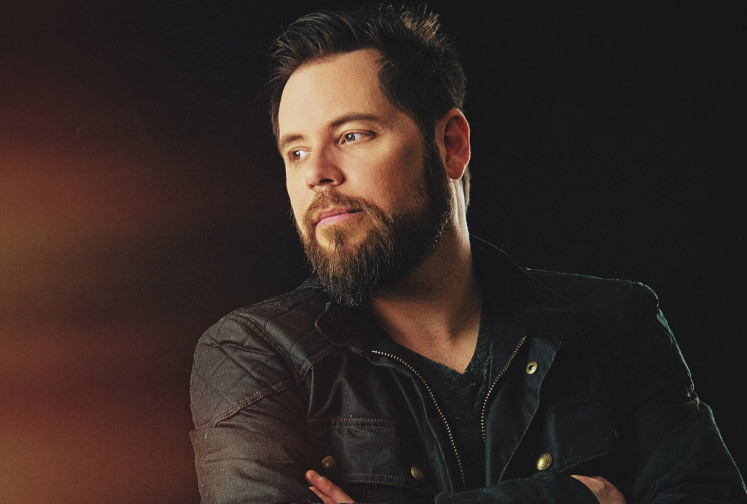 His body of work is impactful emotive, with Farish himself stating “in many ways, the music of ‘Wilderness’ embodies what I feel has been the most intentional music I've ever created.” Then to follow on March 22, 2019, Ryan Farish’s latest album ‘Wonder’ is released. As the title suggests, ‘Wonder’ embraces and chases the hopeful sounds that have made Ryan’s brand synonymous with the word positive, with hopeful emotions and experimental production techniques. While not produced exclusively for nightclubs and festivals, Farish’s music exhibits a supreme appeal. Each concept’s flawless execution speaks to his years of experience in the studio. Farish frequently engages his online supporters, maintaining a fiercely loyal fan base that shares in his ongoing success. As electronic music’s youngest generation of enthusiasts continue to discover the music of Ryan Farish, his catalogue of music will continue to expand. For Farish, the artistic journey continues to be embarked upon with new avenues constantly being explored – with ‘Wonder’ and forthcoming bodies of work still to be revealed being of no exception. +260,000,000 total streams on platforms like Pandora, Spotify, Amazon, and Apple Music. 2007 co-writer/co-publisher for a GRAMMY Award-Nominated Recording. #3 Billboard Chart Position, From the Sky. #10 Billboard Chart Position, Beautiful. #5 Billboard Chart Position, Spectrum. #9 Billboard Chart Position, United. #2 Billboard Chart Position, Wilderness.